Our Civil Rights Lawsuit is entering a critical phase! 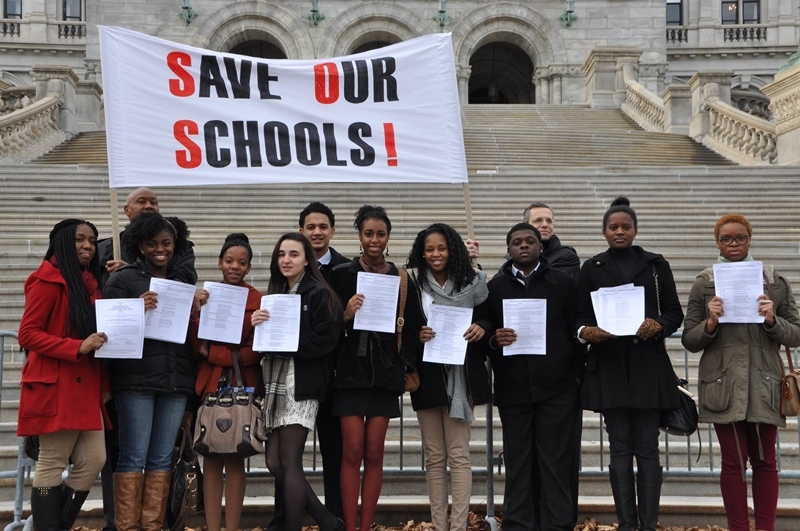 Your help is needed TODAY to take the case for a students CIVIL RIGHT TO AN EDUCATION to the next step. See the chart below which explains why NOW is the TIME! We are at 24% as I write this. 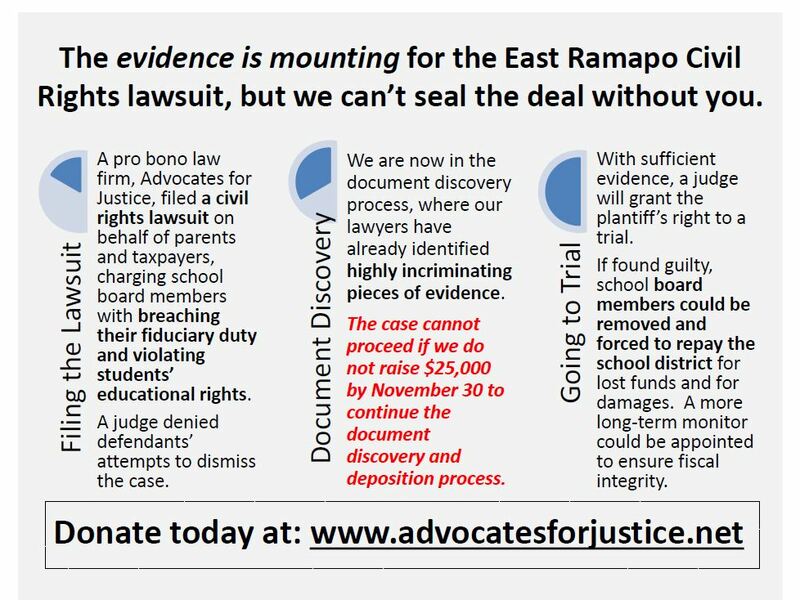 Our lawsuit seeks to return misused public funds to the district, remove the school board members, and ensure proper school board decisions and fiscal management for East Ramapo. Advocates for Justice lawyers represent us for free, but there are court, deposition and discovery expenses. Please donate so we can continue this fight. Donations are tax deductible.